This is the view of Casa Loma from the southwest and a block further south than yesterday's pic. 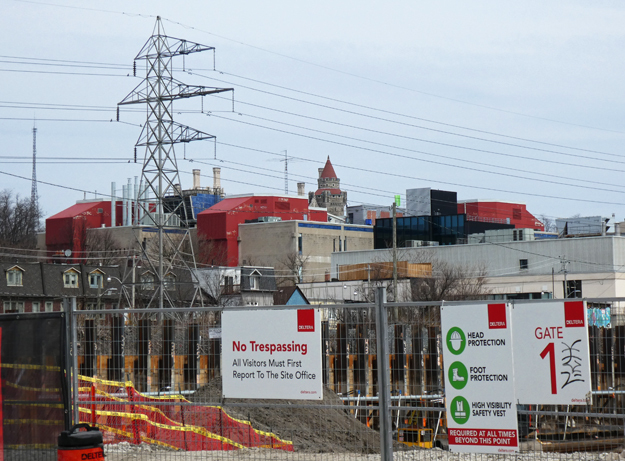 The construction site in front is for some very high-end condos that are being built right beside railway tracks and behind that you see the buildings of George Brown College, a community college. Soon the Casa won't be visible from here except by those who have paid $1.3 million & up to live beside the trains. This is the view of Casa Loma taken from a block southeast of Davenport Rd and the stairs going up the hill to the Casa. 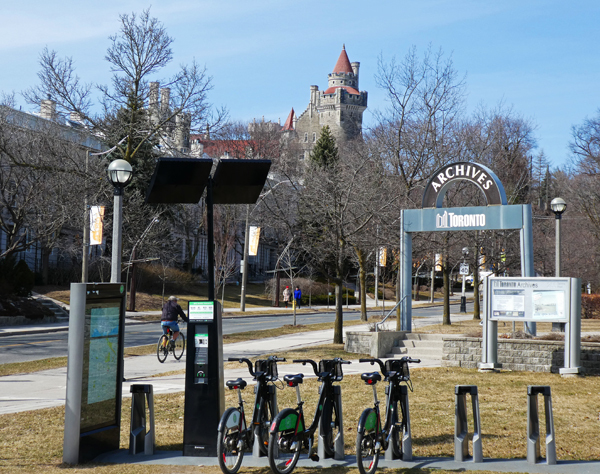 As you can see from the sign this is the location of the Toronto Archives and one of our bike sharing stations. I will show you the very different view from the southwest tomorrow. 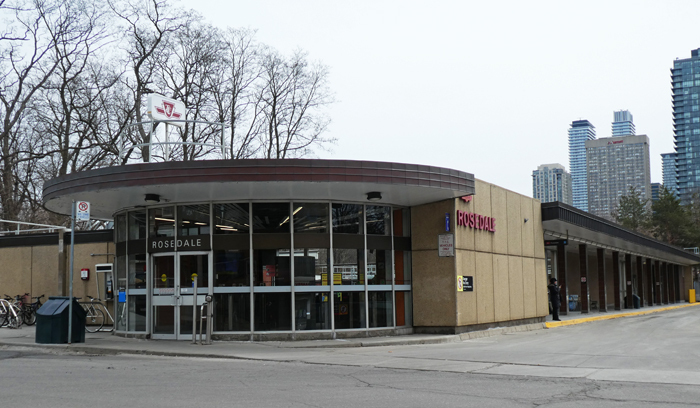 The Rosedale subway station is located just down Yonge St from the dog spa that I showed you last Wednesday. It serves the Rosedale neighbourhood which is one of the wealthiest and most expensive neighbourhoods in Canada. This is the area where "old money" lives. This station was built in 1954 and has heritage protection although some changes in tile colour have happened through the years. 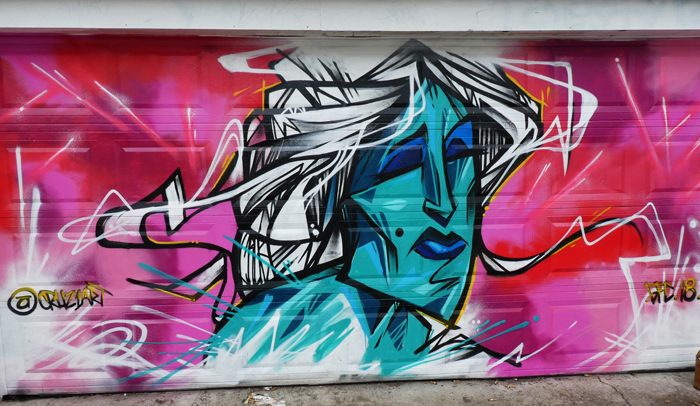 We are back in Feel Good Lane for another mural and this week it is another woman but this one a bit more angular than the other. The artist for this one is cruz1art aka Angel Carrilo who does a lot of mural work around the city and is known for his angular style. Many people will be waking up today to find that the Easter bunny has left them a chocolate treat. 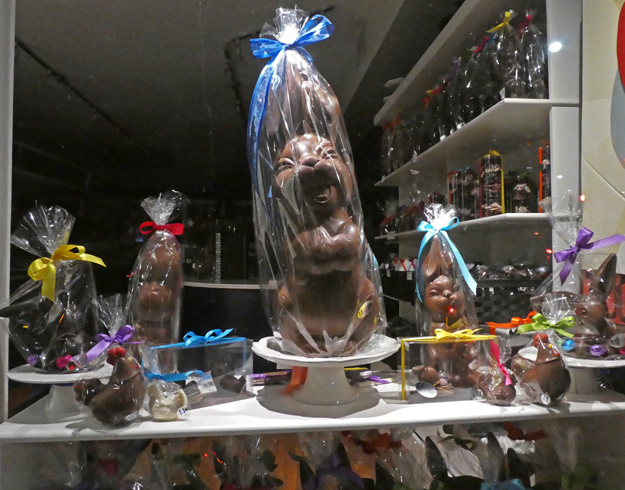 I spotted this chocolate bunnies in the window of the same shop that had the chocolate man I showed a couple of days ago. Have a wonderful Easter to all of those who celebrate it. I caught this little Red Squirrel in deep shade on a sunny day and he was moving quickly so the pic is not the sharpest but he looked so cute that I'm posting it anyway. 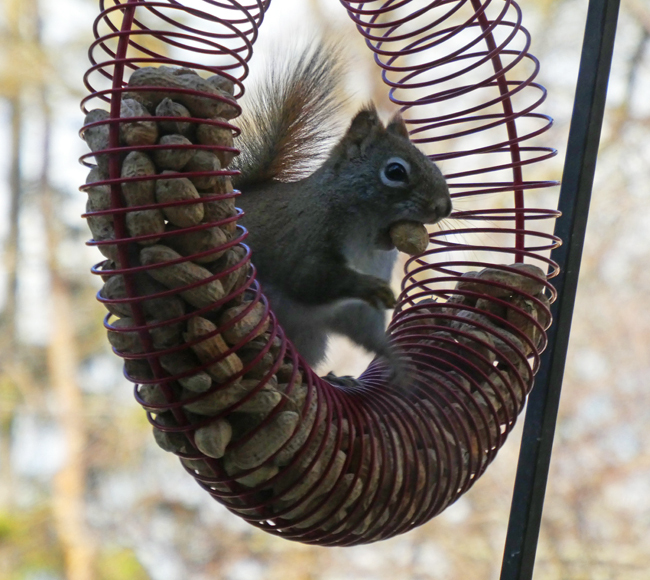 He grabbed a peanut from the feeder, sat for 1/2 a second and then was off to eat it somewhere else. The red ones are so tiny compared to our grey & black squirrels. 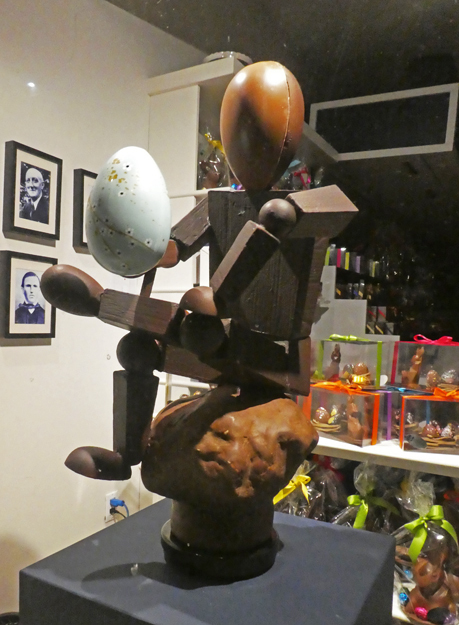 I spotted this chocolate man working overtime in a chocolate store getting ready for the Easter bunny's deliveries on Sunday. That is a huge amount of chocolate!